In a small pot, heat 1 cup of water with 3/4 cup of sugar over medium heat until dissolved. 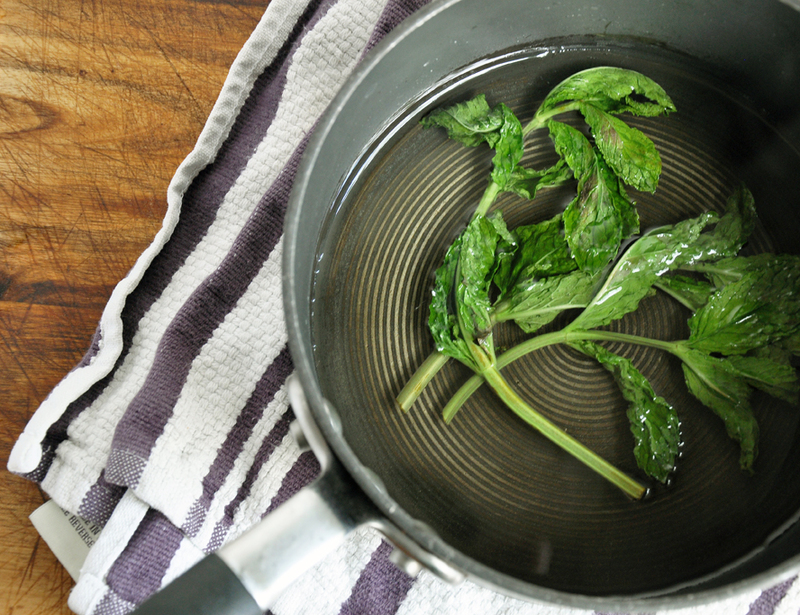 Remove from the heat and add 3 mint sprigs. Let steep 30 minutes, or longer if you have time. 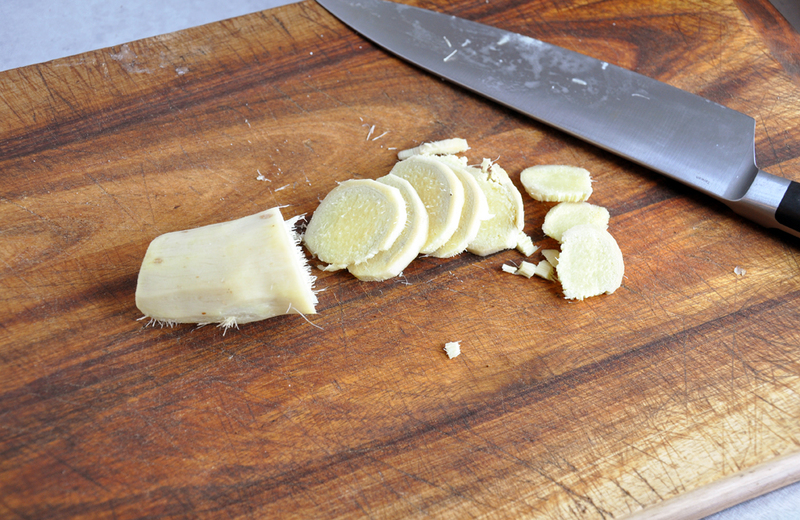 Meanwhile, peel and slice the ginger into 1/4" coins and add to 2 cups of water in a small pot. Heat over medium heat, cover and cook 30 minutes. Pull the ginger out and into a colander to drain. Place the water back on the heat and add the remaining sugar. Stir until dissolved and then reduce 20 minutes. Add the ginger coins to the syrup and boil, stirring occasionally, until the liquid is almost completely evaporated, about 20-30 minutes more. 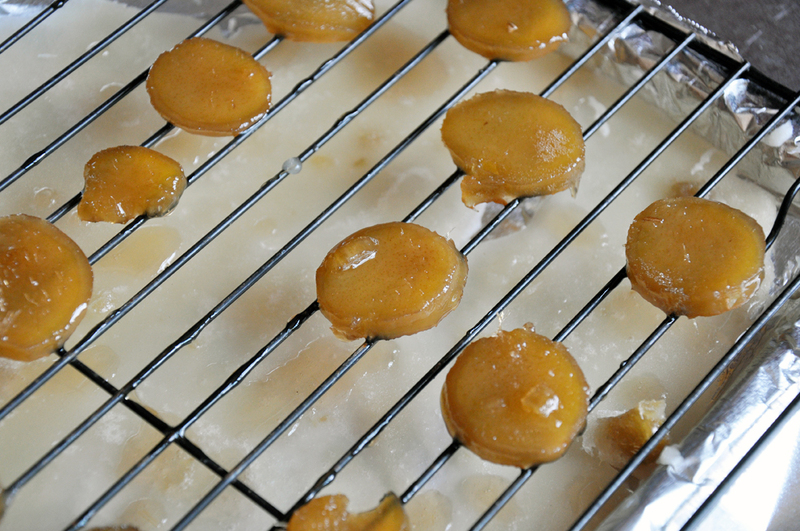 Remove the coins to a cooling rack. 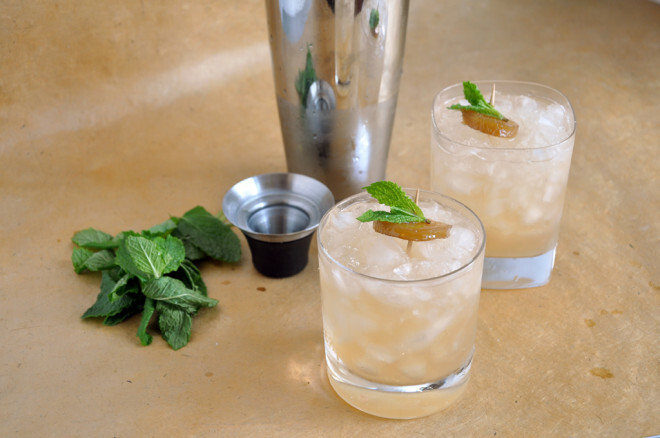 Add the grapefruit juice, bourbon (if using), ginger beer and 3 oz mint syrup to a large glass filled with crushed ice. Mix well and then distribute among the glasses. Garnish with a candied ginger coin and mint sprig stuck with a toothpick.